Well, Galatea is pretty much what it claims to be. The title isn’t ironic. The world of the story is a utopia, which is to say, it can probably be accurately described as somebody’s personal hell. Any given utopia is someone else’s dystopia, after all. Really, the distinction between utopia and dystopia is a silly one, since it largely comes down to a question of tint and shading. A better way to look at the matter, perhaps, is to say that both utopias and dystopias spring from the same insight, which is that once a community has solved its solvable problems, only unsolvable ones remain. Stability, security, basic sewage treatment—clear up those little hassles, you’re left with the real questions, the doozies. What’s a good life? And, supposing you’re bold enough to venture an answer—how can people can be convinced to live it? Of course, one of those doozies, perhaps the dooziest of all doozies, is the problem of love, which I’ll define here as the problem of offering oneself to be transformed by another. It’s my conjecture that in a world where people are safe, free, and equipped with near godly technology, those transformations become all the more frightening. We will become as gods—and we’ll quarrel like Olympians. Hmmmm, any story about identity is by nature very personal. And part of the point of writing a work of fiction is to make the personal impersonal, to put on a mask. So I should probably keep my mouth shut. But I’ll say this much. Right now, people are arguing a lot about gender identity. Those debates are shaped, I think, by an important fact, which is that the cost of coming out as anything other than cisgender is very high. So the people who do so are by nature people willing to pay a high price—mostly, people so strongly committed to a particular gender identity that they’re willing to put up with a lot of hassle. Anyone without such strong commitments can sort of hide out in the cis world, coasting along on the prevailing norms. If you suspect you’d rather be a woman, but you’re basically content to be a man, why make a big thing of it? Why not just lie low? I’ll bet there are a lot of people who don’t fit neatly into the current, dominant, highly politicized categories. People who aren’t strongly committed to being masculine or feminine, or cisgender or transgender, but who aren’t exactly anti-binary either. People who might have a slight preference one way or the other, or preferences that slip and slide over time, or who feel playful or uncertain or experimental—and who have the luxury of passing as cis, even though they’re not deeply invested in that identity. The ambi-gendered and the meso-gendered and the flexi-gendered and the inchoately gendered, and on and on. If the cost of being non-cis comes down, more of those people will start to act on their preferences, and the cis/trans distinction that drives so much current discussion might melt into something more complex and various—leading to new categories, new divisions, new struggles. Hence the idea at the heart of the story—well, let’s play the sci-fi game and call it a “prediction”—that we might eventually see the gradual, halting, and painful emergence of a new sexual distinction, one based on something other than what we usually call gender. Picture two groups, locked in conflict. In our first corner, “fixers,” who are passionately committed to one gender but feel pressured to change for the sake of others. And in our second, “fluxers,” who feel pressured to pick a clear gender even though they’d rather play around. So who’s pressuring whom? Who’s being treated unfairly? Can such different people, with such radically different experiences, ever learn to get along? Those questions are the inspiration behind the story. What was the most difficult aspect of writing “Galatea in Utopia,” and what was the most fun? Don’t let anyone tell you otherwise: the worst part of the writing process is publishing the darn stuff. The fun part is thinking, “Hey, I’ve got an idea for a story!” Everything after that initial rush always plays out like a slow loss of faith. “Galatea in Utopia” appears in the January/February 2018 issue of F&SF. What was the inspiration for “The Equationist,” or what prompted you to write it? Initially I was inspired by my mother-in-law, who is one of these people who sees connections and patterns all over the place. She’s not particularly mathematical, and many of the connections she makes seem like a stretch to minds like my own. But she’s a very lucky person—in that she has frequent good luck and positive coincidences—and I think her pattern-seeing has something to do with it. So I wanted to create a character with an unusual mind, who sees the world differently than everybody else, and explore both the advantages and costs of that perspective. Later, after I’d written the story, I realized I’d been inspired by a minor character in Brainwave by Poul Anderson (which I read when I was about ten, as part of A Treasury of Great Science Fiction, Vol. 2). In the first chapter of Brainwave, an unnamed boy experiments with graphing algebraic equations, and by the time his mother calls him down for breakfast, is “well on his way to inventing differential calculus.” Much to my disappointment, the boy never makes another appearance in the novel. Not only was that story my first introduction to the relationship between equations and shapes/patterns, but I think my subconscious mind decided the unnamed boy’s story should have more to it. Was “The Equationist” personal to you in any way? If so, how? Sure—a lot of the family dynamics are pulled straight from my own life. My mother got a few good laughs when she read an early draft. And many of Niall’s emotions, especially as a child and his coming of age, are identical to my own during those times in my life. I’m not a mathematician—I never made it past trigonometry—so the bulk of research was getting the equations right. And it’s likely I made some mistakes—hopefully the story won’t make too many mathematicians cringe in horror. I do like the idea of people and nations gravitating toward certain equations, even if it’s not mathematically rigorous. We’re all controlled by patterns and influences outside of our own control, often much more so than we realize. Unless we exert huge amounts of energy to change our habits and mental state, we’re subjected to the gravitational pulls of our parents, friends, and dominant cultural expectations. I’m working on a near-future science fiction novel about mass involuntary gene editing. I have a story called “Money in the Tortoise” coming out soon in The Intergalactic Medicine Show, as well as another story “Targeted Behavior” in Compelling Science Fiction. My novelette “The Icelandic Cure” (winner of the 2016 Omnidawn Fabulist Fiction contest) comes out in April (Omnidawn). My debut science fiction novel The Sky Woman is coming out on Flame Tree later this year. I hope readers look out for these stories and let me know what they think. “The Equationist” appears in the January/February 2018 issue of F&SF. 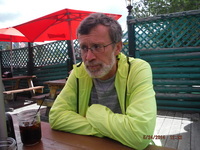 Clicking on Mr. Moyer’s photo will take you to his website. I had a market that needed a story about warfare. I don’t remember the particulars about the assignment, but I felt pretty confident about my plan when I was in Kansas City, at the Nelson-Atkins Museum of Art. Edward Hopper’s “Light Battery at Gettysburg” caught my eye. A roadside scene, horses and young men pulling artillery towards the coming battle. But the moment itself is sun-washed, quite peaceful. I started thinking about youngsters enjoying a pleasant day while preparing for slaughter, and somewhere I started to believe that one of those horses was smarter than anyone else. “An Equation of State” was refused by its intended market. So it goes. Take away? Pick what you like best, and let the rest go. That’s what I do with stories I read, and even more with the stories that I write. In “Equations,” my favorite scene involves the Vietnamese soldier. A fantasy of the super warrior, sure. But I used to work in a factory that was half-Vietnamese, and I knew people who had fought for the South. And while they considered American soldiers to be scared little boys who were dangerously quick with triggers, they had been deeply impressed by how our B-52s leveled hills. And by impressed, I mean terrified. I mean scarred. I mean that years later, they would hold a Pepsi can in one hand and shake their heads, describing the deep craters that became deep ponds and nothing like a body left behind by the thunderous explosions. Americans had reached down from the stratosphere and killed more people than anyone could ever count, and war is a miserable mess where the lucky are able to eat rats. Last week, I finished up a Greatship novel. THE DRAGONS OF MARROW needs a home, and being 61, I have a sense that maybe I shouldn’t linger too long trying to place it in the traditional addresses. Publishing takes too long, and editors get fired, and I have maybe five more books to write. So wouldn’t it be nice just to throw my work to the world and make a few bucks and collect social security and leave my biggest, best story behind for the AI superminds to enjoy? On a similar note, I’m also learning how to publish on Kindle. I have a library of nearly 300 stories and out-of-print novels, and sad to say, I’ve reached that point in the career when my catalog is more valuable than my future. “An Equation of State” appears in the January/February 2018 issue of F&SF. Clicking on Mr. Reed’s picture will take you to his website. What particular role do you think fiction serves in the climate change discussion? Brenda Cooper: Science fiction can make the consequences of climate change real. The fight for the planet is based on avoiding a very dark future. But humans are frankly terrible at avoiding (or working toward) long term futures. We often feel like these are tomorrow’s problems, or someone else’s problems. Good climate fiction can help us all feel and smell and taste that future, and can teach us the implications of what we’re learning through climate science. For example, I read The Sixth Extinction: An Unnatural History, by Elizabeth Kolbert. This popular science book worried me, and made me think, and drove me to do other research. Lydia Millet’s story, “zoogoing,” in I’m with the Bears: Short Stories from a Damaged Planet, made me cry. Humanity might need a good cry about this thing that we’ve done. That just might get us doing as much as we need to do to save others. Joey Eschrich: Climate change affects different people in wildly different ways. Barring some kind of total ecosystem collapse, the most privileged among us will be inconvenienced, at worst, while vulnerable populations around the world will have their lives destroyed. Unless we enact a litany of drastic, structural social and political changes, climate change will grotesquely intensify existing inequalities. It also varies based on where you are—the effects of climate change in Arizona, where I live, are and will be very different than the effects in Namibia, or Greenland, or Japan. Fiction gives us the opportunity to see climate change and its effects from other people’s perspectives, and hopefully to learn to empathize with people who we wouldn’t normally get to hear from, or think about. Our multifarious struggles with climate change are connected, and the first step to changing the forces driving climate change are to realize that, and on a visceral level. We can’t just muse about it. Fiction makes climate change emotionally immediate, and forces us to experience the dire situations that it’s putting people in. This is especially important in wealthy nations, because our privilege threatens to blind us to reality. Vandana Singh: Humans in modern global industrial societies are enculturated to think short-term and small-scale — in other words, our empathic imagination is limited to our immediate social and familial circles, and short time scales. When you have an unfolding disaster that is long-term and on a global scale, fiction can provide a way to expand the limited circle of our imagination and empathy. I think that the best fiction serves to make our unexamined assumptions about our existence on this planet visible and contestable. Of course fiction isn’t going to wake us up on its own — we need nonfiction, new pedagogical approaches in K-12 and college, we need the arts, green technology, citizen action locally and beyond on policy issues, people working to develop zero carbon lifestyles and values. Politicians and corporate talking heads babble about dreaming big — but it’s more important to dream differently — and the best of imaginative fiction allows us to do that, despite what Amitav Ghosh says about SF in his otherwise thought-provoking book The Great Derangement (which I discussed in an essay on Strange Horizons last Fall http://strangehorizons.com/non-fiction/reviews/the-unthinkability-of-climate-change-thoughts-on-amitav-ghoshs-the-great-derangement/ ). You’re an academic who deals with climate change issues professionally. How do you separate your academic approach to the subject with your creative approach in fiction? Or do you? Well, my academic work in climate change and my writing life feed each other. My work is at the intersection of climate science and pedagogy and the socio-cultural response. It is a very exciting area, especially for a former particle physicist. But its transdisciplinarity also means that science fiction is the perfect playground for the ideas that come up. And the advantage of being a creative writer is that whenever the grimness of it all gets me down, I can work with it, turn it into a story, and not necessarily a purely dystopic one either. What were some of the specific things that inspired this story and what kind of research did you have to do? Anyway, CSI arranged for some of us to gather atop a mesa in the experimental settlement of Arcosanti late one night in 2016 to re-enact the dare. I can’t begin to describe it – the huge sky, heavy with clouds, the impenetrable darkness that you can experience only outside a city. We were reading aloud Byron’s Darkness in turn, using a cell phone, under cypress trees beneath that wild sky, and it started to rain. So we moved under one of the giant arches that the dreamer and architect Soleri had built on the mesa, and spoke to the night. At some point the rain stopped and the clouds parted just a little to reveal an extravagance of stars. It was an astonishing experience. Talking late into the night about Mary Shelley and Frankenstein, and our own far more dire climatic moment, it slowly became apparent to me that my story had to have monsters. That what was happening to the world was so momentous, so strange as to be beyond mundane literary devices. So as I started to scribble fragments of the story over the next few months, monsters of various kinds emerged from my unconscious onto the page. A while ago I was a participant in a roundtable on climate change over at Strange Horizons http://strangehorizons.com/non-fiction/articles/writing-climate-change-a-round-table-discussion/ , and I articulated there something I still believe now – that the climate crisis calls for us to invent, discover, and rediscover new forms and structures in fiction. Since then I’ve been playing with fictional settings that are globally distributed, as a small, experimental step. So in this story I wanted to explore the meaning of winter, and therefore the weight of its loss, in different places. I had just finished another story for an ASU-CSI project, in which one of the protagonists was Navajo, and I had really wrestled with the problems of writing about peoples and cultures other than my own. I had spent long hours talking to people from the Navajo Nation, and the conversations were still reverberating in my mind. Plus I wanted one of the settings to be Arizona, so it seemed natural to continue my research into climate change and its impact there. The folks at CSI generously found experts for me — so I got to have a wonderful extended conversation with Laura Tohe, the Poet Laureate of the Navajo Nation; an excerpt from one of her poems appears in my story. And Bernadette Tsosie, a Navajo hydrogeologist, was extraordinarily generous in sharing with me her memories of going sheep herding with her grandparents. Talking to her, I understood how devastating the lack of winter can be even where you have an arid climate with not as much snow as, say, the Rockies or Alaska. Her detailed geological knowledge, and that of Steve Semken, a geologist at ASU, made the terrain come alive for me over the phone, in a way that traveling through it hadn’t. Politically we are experiencing an extraordinary time in many places around the world, from the US to India and beyond — we see the nation-states becoming less powerful in the face of what is essentially corporate take-over. Authoritarianism, nationalism and fascism are on the rise. It feels like a science-fictional dystopia, and yet there are also seeds of resistance, groups of people everywhere experimenting with alternatives, safeguarding the dream of a better, more just and peaceful world and giving it new forms and visions. So writing in 2017, how could I not bring some of the atmospherics into my story! The parts of the story set in Delhi are particularly personal to me, because that’s where I was born and raised. It used to be a beautiful, green, quiet capital city, before globalization in the 1990s changed it forever. Now it is a huge, sprawling, ever-growing monstrosity, and among the most polluted cities in the world. As for the third setting – Sweden – the story called for an Arctic setting, where the loss of winter is the most severe. Speaking to an expert who was another of Joey’s apparently innumerable contacts, Garry Peterson, and following up with multiple readings, I learned a lot about the impact of the retreat of the ice in Scandinavia, and also about the mining there. Being a science fiction writer with eclectic reading habits, I had just finished reading about some recent research on trauma and how it is held in both mind and body. So my Swedish character’s story came to me. Poetry plays an important role for several characters in the story. What’s your relationship with poetry, and why did you decide to bring it into the narrative in this way? I grew up in Delhi into my early twenties – the formative years – and I was surrounded by poetry. For one thing, you couldn’t escape Bollywood songs and their lyrics, which played in homes and in the vegetable market. From a very young age I would sing verses from the Ramayana for my grandmother, and I also loved the medieval poets of my city, such as Ghalib. I come from a musical family, and all family gatherings inevitably involve music with poetic lyrics. In school I learned poetry in both English and Hindi, and we were made to memorize scores of poems. I can still recite a number of them. I think great poetry jumps the gap between the world and ourselves in a way that literal language cannot. It bridges the unbridgeable. I love that. It is strange to me living in the US that people by and large don’t appreciate poetry, especially if they are scientists. Not long ago some of the greatest scientists were also poets, and proud of it (James Clerk Maxwell, for example). So in this story, as in life, there are moments to which only poetry seems able to speak. Like many characters in this story, you’re multilingual, and you didn’t always provide immediate translations in the text for some of the poems or phrases in the story. How did that decision relate to the themes of the story and the ways that you were trying to engage your readers? I’m not as multilingual as I’d like to be. I know Hindi and English fluently, and could speak basic German, Farsi and Tamil at various points in my life. But I like to read multilingual texts when I can – for example I have a book of Rilke’s poetry that has the German original and the English translation. The reason I didn’t just put English translations into the text is that as a reader I’ve always enjoyed the experience of being immersed in the unfamiliar, and trying to figure it out by context. When I was a kid and already a compulsive reader, I used to read well ahead of my age. Most of the books in English were about unfamiliar places and cultures, and the idioms and multi-syllabic words were enticingly strange. It was an adventure to figure them out through context. More recently I’ve read books such as Junot Diaz’s The Brief and Wondrous Life of Oscar Wao, and I loved that there was so much untranslated Spanish in it, which I didn’t understand. For one thing it gave a flavor or atmosphere to the book that an English translation would have failed to do. Even the sound of an unfamiliar language does that. That’s one reason I love riding in the subway, because you hear all these different tongues, these patterns, and you come to appreciate the fantastic diversity of the world. But also the use of untranslated language hints of its irreducibility, even if you provide a translation in the end-note. It reminds us that translation only goes so far. It enables the reader to feel, just for a moment, like an outsider, which is important if you want to know just a little of how it feels to be marginalized, or colonized, or different. It’s the kind of discomfort that one should engage with. I don’t have time to write fiction during the semester, but I am incubating a couple more climate stories and I am hopeful that I will be able to work on a long-abandoned novella in the summer. I’m very pleased to announce that Small Beer Press is publishing my second collection of short stories, Ambiguity Machines and Other Stories, in February 2018 http://smallbeerpress.com/not-a-journal/2017/05/17/a-new-collection-from-vandana-singh/ . Can you tell us more about A Year Without a Winter — what is the project, what inspired it, and what do you hope to accomplish with it? 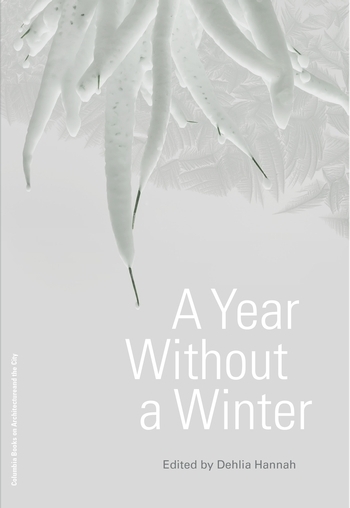 The Year Without a Winter book is part of a larger literary and art project that explores climate change. The project was inspired by the famous “Year without a Summer” in 1816 that spawned Mary Shelley’s Frankenstein, which is celebrating the 200th anniversary of its publication this year. It explores the resonance between that period of climate chaos and this one, and uses a historical lens to encourage us to deliberate about climate change and our responses to it, in art and literature, in science and technology, and in law and public policy. The champions for this work have been Dehlia Hannah, who is currently the research curator for the Centre for Environmental Humanities at Aarhus University in Denmark, and Cynthia Selin, an associate professor in the School for the Future of Innovation in Society and the School of Sustainability at Arizona State University (ASU). ASU’s Center for Science and the Imagination and the School for the Future of Innovation in Society sponsored the project and assigned us [science fiction writer Brenda Cooper and Joey Eschrich, editor and program manager at the Center for Science and the Imagination], to commission and edit the fiction alongside Cynthia and Dehlia. Most importantly to us, the project put science fiction writers in the same room with scientists, so that it sparked learning, conversation, and deep exploration of climate change from multiple viewpoints. Some of the writers continued to work with experts throughout the creation of their stories, and we were happy to be able to facilitate those collaborations and conversations. We also had the opportunity to bring the writers together for some brainstorming and alternately deep and playful conversation in a truly inspiring location: Arcosanti, the prototype 1970s utopian eco-city in Arizona’s high desert, the brainchild of visionary architect Paolo Soleri. That brief desert expedition was our nod to the meeting of minds in 1816 that inspired Mary Shelley to write Frankenstein—a bunch of imaginative people cooped up in a strange place, surrounded by natural splendor and a rapidly shifting climate, daring one another to tell a good story. We hope that this book brings together different kinds of audiences—that some of the science fiction readers who come across this story will pick up the book from Columbia University Press and explore more of the science, the history, and the larger interdisciplinary effort. We also hope that some readers of the academic book will realize the power of well-crafted science fiction, and seek out more of it to read. What are the other stories included in the book? Tobias Buckell, Nancy Kress, and Nnedi Okorafor all have fiction included in A Year Without a Winter. Vandana Singh’s brilliant “Widdam,” is, of course, in the current issue of Fantasy and Science Fiction (January/February 2018). Each of the other fiction pieces is, or will be, available in a different periodical as well; we want to help the stories reach as many people as possible, and make them accessible in a variety of ways. Nancy Kress’s “Cost of Doing Business” explores an unusual political and scientific solution to climate change, championed by a charismatic and ethically ambiguous billionaire. It will appear in Asimov’s Science Fiction in the next few months. Tobias Buckell’s “A World to Die For” is a ripping yarn, a reality-bending thriller that uses real climate science to give us a new way to see how bad things really could become. It is out now, in the January 2018 issue of Clarkesworld. Nnedi Okorafor’s “Mother of Invention” draws on folklore, botany research, and machine learning to consider the unique challenges posed by climate change in a rural community in Nigeria. It will be published digitally in February 2018, on Slate magazine’s Future Tense channel. These are all really great stories. We’re honored to have played a small part in helping the authors create them. Where can readers go to find this book if they want to read more? Folks can visit the book page at Columbia University Press if they want to read more or pre-order a copy of the book: https://cup.columbia.edu/book/a-year-without-a-winter/9781941332382. The book’s official publication date is May 2018, but we hope that it may actually be available and shipping to retailers a bit earlier in the spring. Interested readers should also watch for more interviews and information about the book in the next few months as we approach publication. Folks can also follow the editors on Twitter: Joey is @joeyesch, Brenda is @brendacooper, Cynthia is @cynthiaselin, and Dehlia is @dehliahannah. “Widdam” appears in the January/February 2018 issue of F&SF.